The school principal need to provide the latest inkjet printers to students. 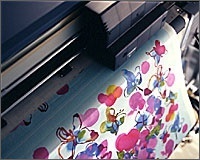 The LED-UV inkjet printer cures inks at low-temperature and therefore various media types are used for the class. Students are impressed by print speed and quality printing. 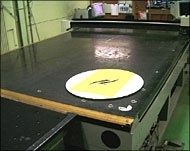 To provide practical signage class to students, the college needs to have machines used at the signage production studio. The class is very meaningful through using of JV33, JV5 and JF series, and is reputed for a practical curriculum. Changing a printing method from silk screen printing to much more eco-friendly one for enhancing company competitiveness . 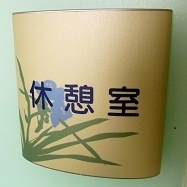 Environment friendly digital on-demand inkjet printing was employed for room sign printing by utilizing short delivery time. Printing on something unique object for expanding its business. 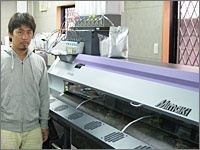 Two units of UV inkjet printer 'UJF-706' were installed. 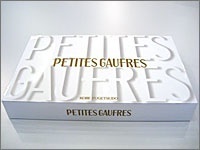 Its sales increased tenfold in two years. Ten thousand smartphone cases were sold in a month. Finding the inkjet printer that can print on bunner material. Since they installed JV2-MS type printer, unique signage business has been expanded with proficient skills of banner making including grommet, hemming and so on. Offering realistic package mockups to clients in a short time. CJV30-60 allows to change package designs as many times as needed. Switching a company's major business from print plate making to more creative work. The digital textile printer broadened a range of business. 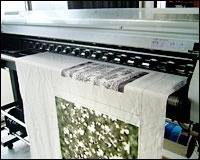 They are printing on fabrics for clothes, scarf and handkerchief for sample making or production. Revitalize Kaga-Yuzen, a traditional dyeing method. 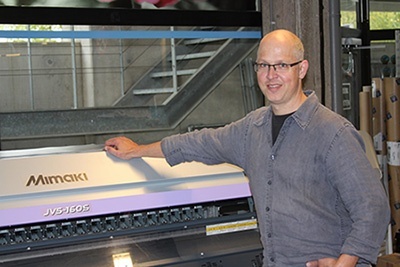 Digital inkjet printing achieves low cost print production. Consumers of Kaga-Yuzen ere broadened due to widened price range. Reducing the time for label placement on the base plate. CF-4620P is able to mark on the plate precisely for label placement. 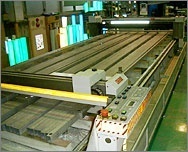 Finding efficient method for cutting of masking sheets, and cutting and shaping the glass into special shapes. Regardless of an operator's level, CF Series and CG Series deliver perfect results with intended shapes.